Da Capo Lifelong Books, 9780738218885, 288pp. At last, a cleanse that helps you heal and revitalize while eating well! The founder and innovative chef of Soupelina shares her customizable three- and five-day cleanses (with a one-day reset option as well) that will supercharge your health, help reduce inflammation, sharpen your mind, make your skin glowand help you lose a few pounds in the process. Don't want to cleanse but want to get more whole veggies into your day? These soups are easy, nourishing, and satisfying. Make a batch to sip on all week (or freeze for later)these soups are perfect for a healthy, filling dinner, lunchand even breakfast. 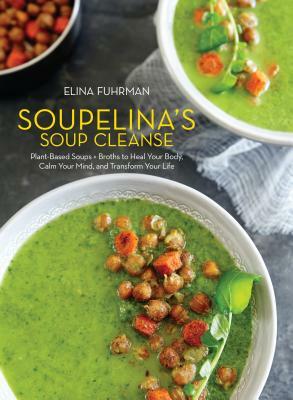 A celebration of great-tasting plant-based soups, Soupelina's Soup Cleanse will change the way you think about healthy food. Elina Fuhrman is the founder and chef of Soupelina. Formerly an international correspondent for CNN, she has written for the New York Times, InStyle, and many other publications. Fuhrman lives in Southern California with her family.